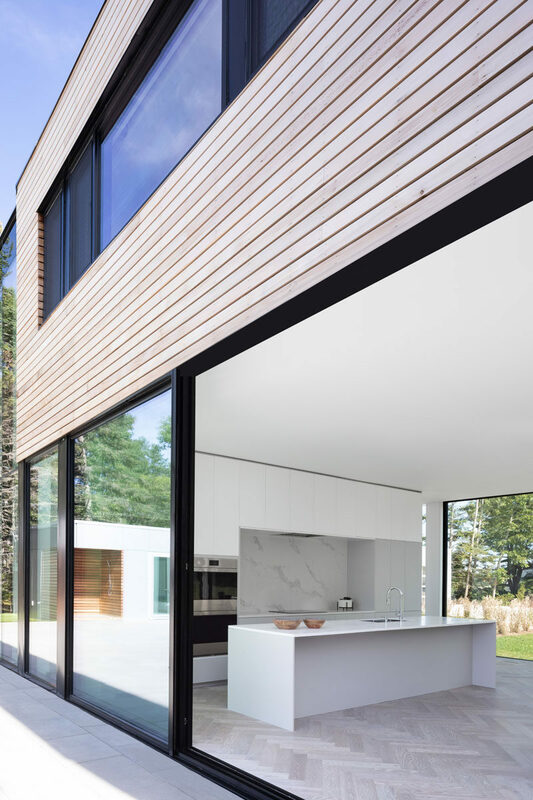 Canadian firm Omar Gandhi Architect have recently completed a modern coastal cottage in Chester, Nova Scotia, that was designed as a summer home for a family. 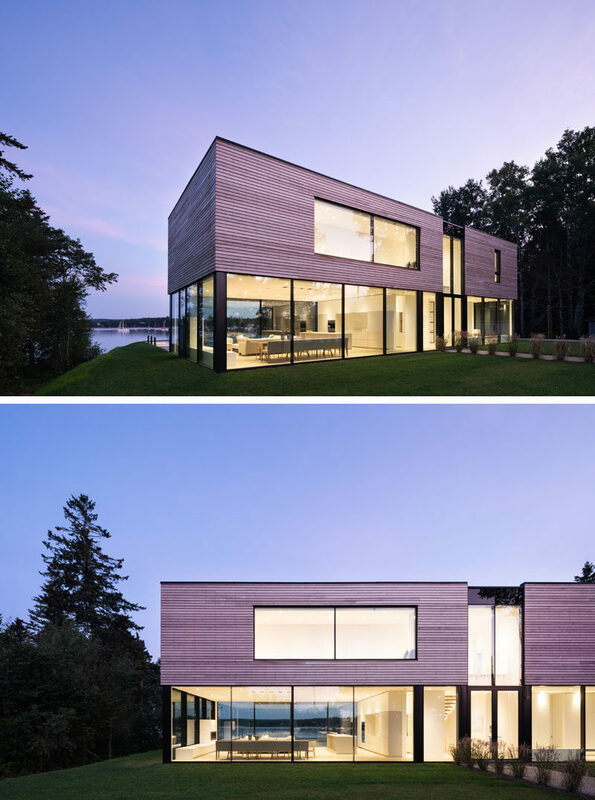 The exterior of the house is clad in red cedar horizontal boards that hover above a glass-encased ground level. To one side of the front door, there’s a hallway that leads to the stairs, a home office and one of the bedrooms. The hallway is lined with storage closets and benches positioned beside the floor-to-ceiling windows. 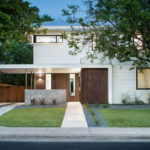 On the other side of the front door, the interior opens up to the combined living room and dining room, and the kitchen. Throughout the home herringbone patterned white oak floors cover the floor, while minimalist white cabinets have been used in the kitchen. 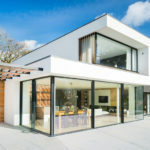 Massive sliding glass panels allow the heart of the home to open up to the swimming pool and deck. 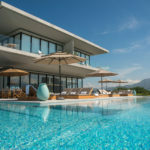 Adjacent to the swimming pool is a guest house with a bedroom, living room / kitchen, a bathroom, and a outdoor shower. Back inside the main house and on the upper floor, there’s a bedroom with a built-in window seat that runs wall-to-wall. 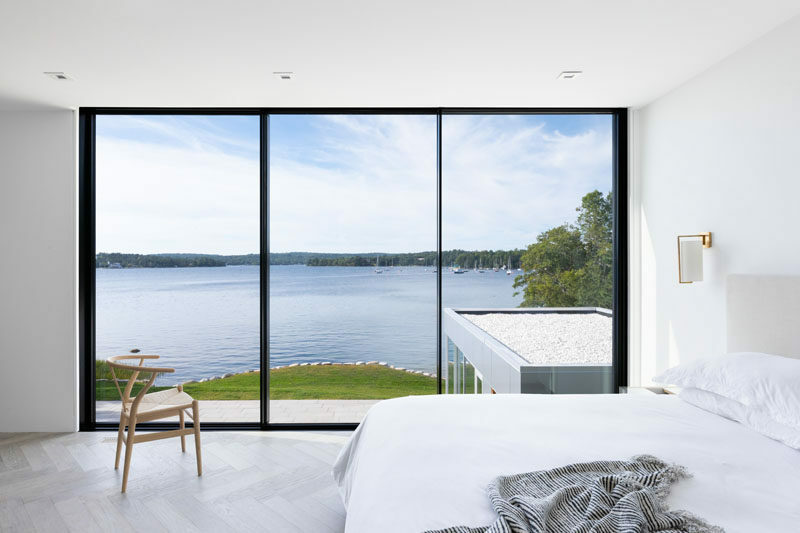 In an another bedroom, floor-to-ceiling windows perfectly frame the water view.